While travel is often considered a luxury, it doesn’t have to cost an arm and a leg, and anyone who has spent hours (successfully) scouring the internet for deals and discounts already knows that. But because there truly is an app for everything, now it’s easier than ever to save money on travel. There’s simply no reason to pay more than you have to. 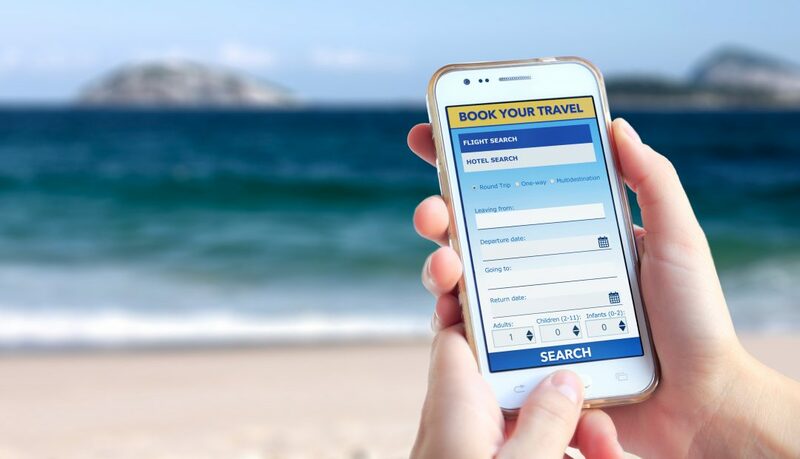 Whether you’re adhering to a tight budget or just trying to save some cash when you can, these apps will help you find deal sand save money on your next trip. Whether you’re traveling unexpectedly or you’re simply a flexible traveler, HotelTonight is a great way to save money on top hotels. 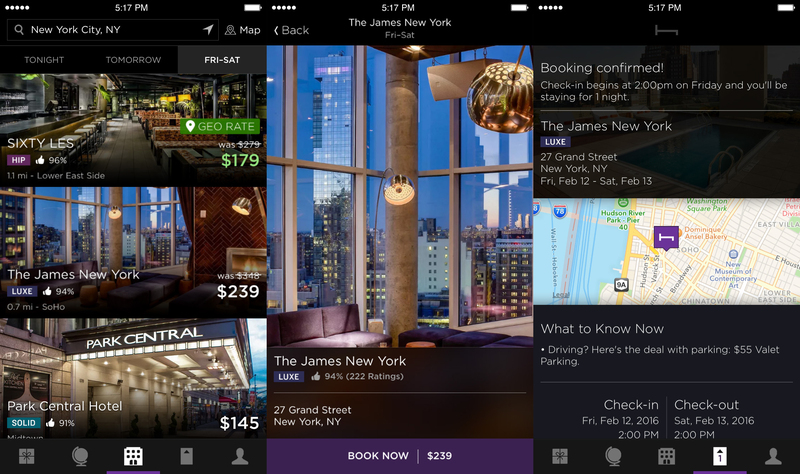 HotelTonight consolidates the hotels in your selected area that are offering discounted rates on last minute bookings in an effort to fill rooms. Users can also unlock daily price drops for extreme deals once every 24 hours, and are then given 15 minutes to decide whether or not to book. If all you need is a single night and you’re comfortable waiting until the day of your visit, this app is a great option for last minute travelers. Immediately upon signing up, Service scans your past emails and determines your potential savings within seconds. Service works by syncing to your email and tracking your reservations for price drops. If a hotel you’ve already booked becomes available at a lower rate, Service will automatically rebook you at that rate. 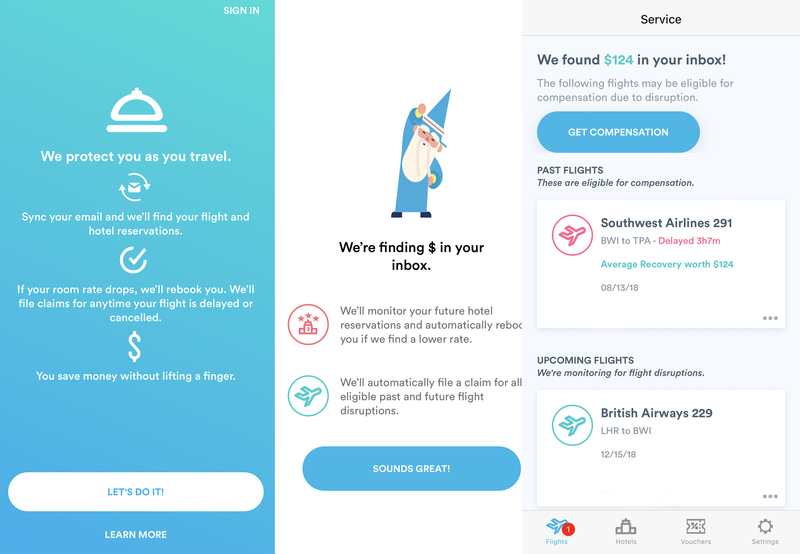 They will also email airlines on your behalf for compensation in the event that your flight is delayed or canceled, and they’ll even pursue compensation for delayed or canceled flights you’ve already taken within the past year. On average, Service saves travelers up to $300 per year. Trail Wallet helps you set (and maintain) a budget for each trip by simplifying and organizing all purchases throughout your trip. When planning a trip, it can be easy to keep swiping a credit card and lose track of how quickly things add up. Trail Wallet also works by syncing with your email, and it tracks and records all of your travel expenses in one place. 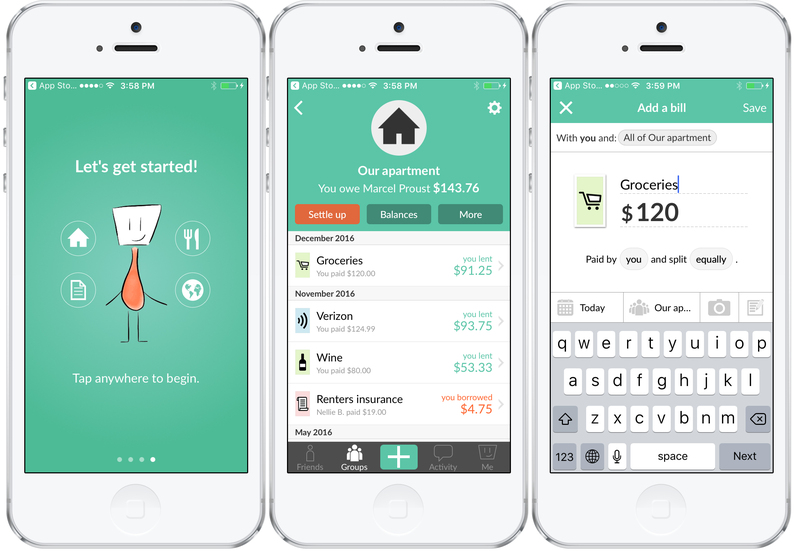 In addition to the purchases the app tracks through your email, you can also add additional purchases manually such as meals and small purchases. 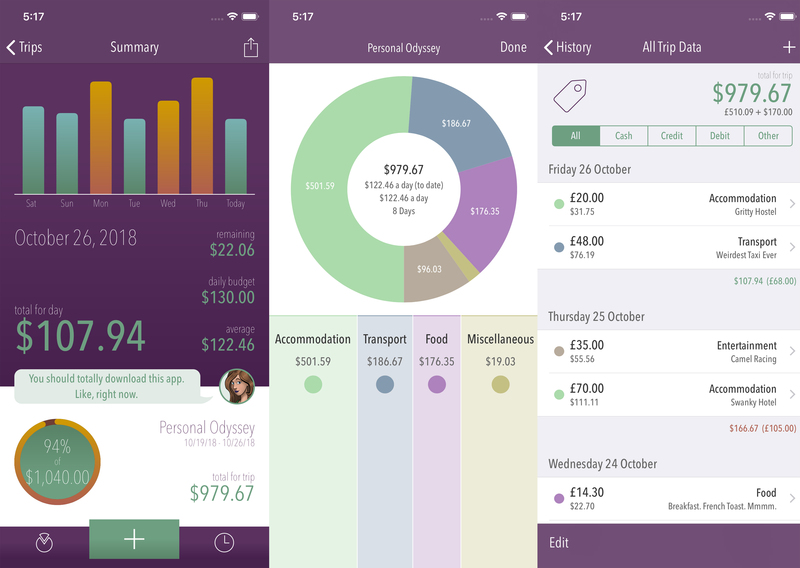 Keep track of everything in one place and avoid having to discuss who owes what. If you’re traveling with friends or any group of people, it can be hard to keep tabs on who has paid for what. A hotel room for three has to go on one card, a restaurant won’t do separate checks, and so on. Splitwise makes it easy to add up each person’s total portion of group dinners, hotels, cabs, and any additional expenses. As long as everyone in the group has an account, all you do is enter each amount, who paid, and how you want to split it. No one likes talking about money, so this saves you the trouble of trying to do the math, as well as the awkward conversation when someone inevitably does it wrong. Avoid the hassle and let Splitwise do the work for you. Don’t let the airlines win by overcharging you for the same flight. Connecting flights can be a drag, but sometimes spending an hour or two in the Atlanta airport is a sacrifice worth making for the more affordable ticket. But what if Atlanta is your final destination? Sometimes, that exact same flight to Atlanta booked direct is more expensive than the connecting flight. So what’s stopping you from booking the connecting flight and getting off one plane sooner? As it turns out, absolutely nothing. 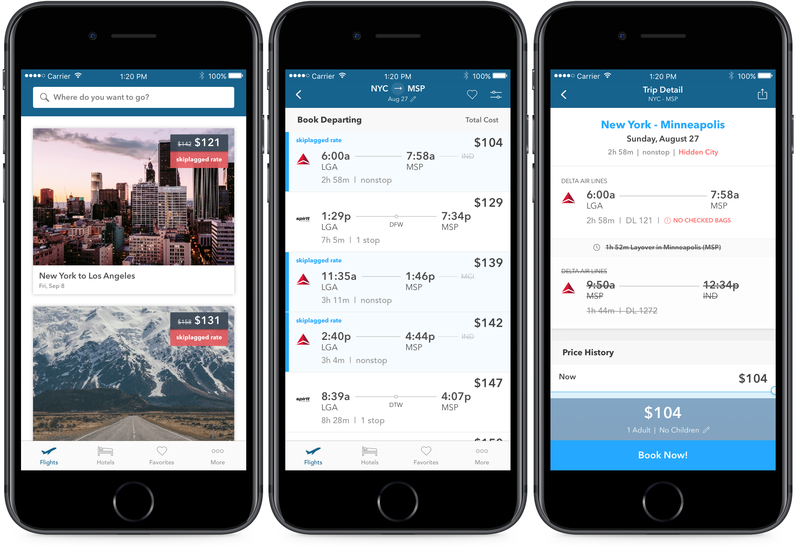 Skiplagged searches for connecting flights with layovers in what is actually your final destination, often for cheaper than the direct flight. As long as you’re not flying to a more remote airport and you don’t need to check a bag, Skiplagged makes for one very clever money-saving airline hack.